Gilbert Development Corporation has the trained personnel and specialized machinery to promote reclamation success in a variety of conditions. GDC has effectively worked large and small scale projects. Our fleet of equipment and trained personnel are more than capable to accomplish several levels of reclamation. Reclamation for: Exploration Drill Sites, Gravel Quarries, Highway Corridors, Landfills, Mined Lands, Mountain Developments, Open Space Area, Pipelines, Drainage canals. 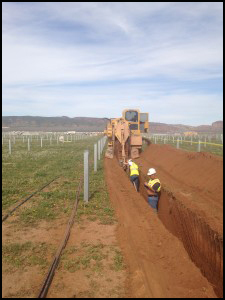 600 Acre, 80 mega watt solar field consist of all solar field grading, road access, off site improvements, electrical trenching, installation, backfill, finish grading pile driving. 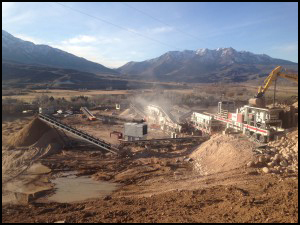 Due to the remote site we crushed all aggregates and placed aggregate for roads, buildings, substations, pads, etc.. The project included but was not limited to construction, dust control, earthwork, and on/off site road maintenance. 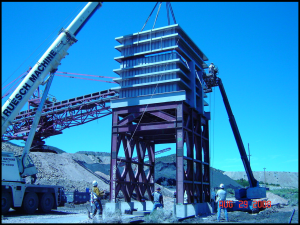 We have extensive mining experience in precious metals, iron ore, and construction aggregate. 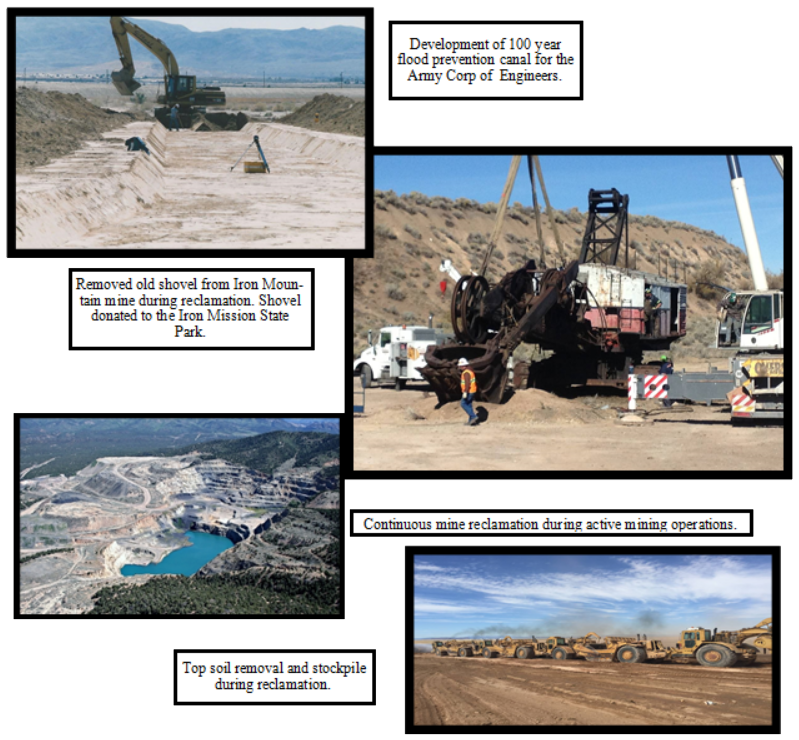 Specializing in open pit high volume and reclamation. Projects have included: milling, magnetic seperation, blasting, surface minning, de-watering, crushing, mine planning, construction, train loading, highway truck loading. By running a fleet of the best equipment possible we are productive, economical and safe. We work closely with MSHA, Division of Air Quality, Department of Gas Oil and Mining, and other governmental agencies and have received numerous safety awards on our projects. 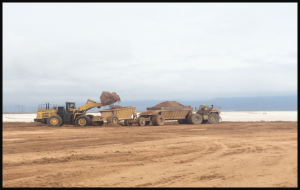 We have also played major roles in mine development including: mill process, plant design, pit design, permitting, public/investor relations, and contract negotiations. 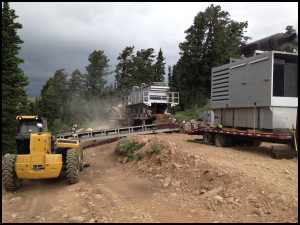 We not only provide on-site portable crushing, installing and operating permanent installations, we also manufacture our own equipment through our manufacturing division Crusher Rental & Sales. We have done all types of crushing and screening: construction aggregates, landscape materials, precious metals, metal/nonmetal ores, washed products, milling, and magnetic separation. We always use the right equipment for the job and can provide any service including haulage, dust control, permitting, and maintenance. 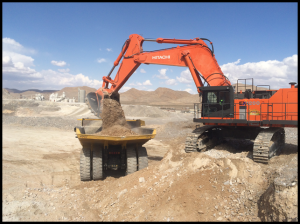 With highly trained MSHA certified employees and experienced supervision we possess the know-how to tackle any crushing application. 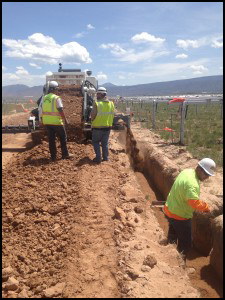 Gilbert Development has over 30 years of earthwork experience, in Utah, Nevada, and California. High-grade business philosophies-such as maintaining a top of the line fleet, providing excellent customer relations, maintaining exceptional quality of work while being productive and safe-have allowed us to excel at earthwork. Completing a variety of projects: dams, subdivisions, drainage channels, mine overburden removal, commercial/industrial sites, hospitals, state roads and freeway jobs, military work, and airports, gives us an impressive roster and proves we are always up for a challenge. We offer complete turnkey services from conceptual design to finished site. We also have a full fleet of support equipment: dust control, service, and maintenance, as well as top of the line GPS equipment and an in-house engineering department. 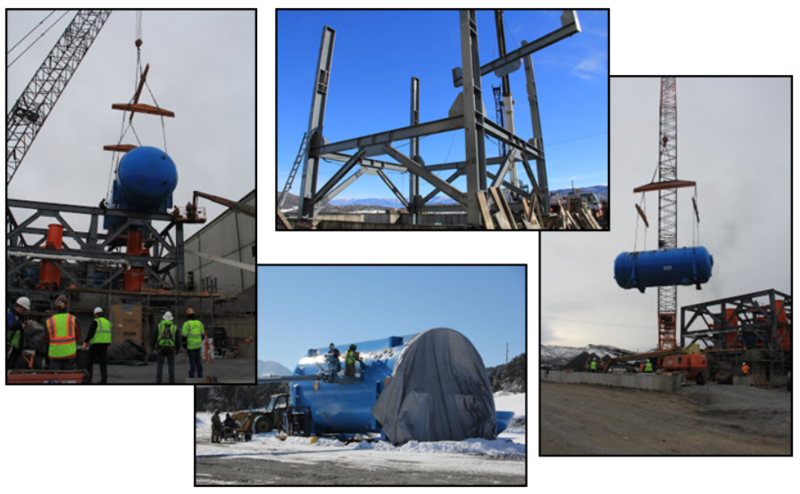 We have the capabilities to take on any size project and leave the customer with the highest quality product possible. Gilbert Development installs a wide variety of pipe for various utility services: ductile, PVC, fused HDPE, ADS, RCP and metal corrugated. As well as structures and assemblies: manholes, vaults, valves, PRV, pump stations and tanks. With on-site crushing or off-site import we have the ability to meet any specifications. All work is completed with quality, efficiency, cost, and safety in mind. Whether the job requires trenching, excavation, or both, we provide full dig/lay/back-fill/testing services all the way through 72” diameter pipe at any depth, and extensive de-watering projects. We have completed subdivisions, mines, aggregate pits, load-out facilities, crushing/processing facilities, roads and commercial/industrial sites with services from conceptual to turnkey finish product for our customers. We are capable of handling design/engineering, feasibility, pre-construction, bidding, manufacturing, construction management, general contracting, testing, quality control/quality assurance and anything in-between. Gilbert Development Corporation retains a fleet of well maintained, top of the line equipment. 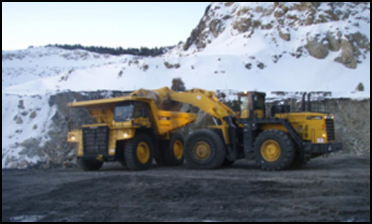 The fleet consists of a number of dozers, scrapers, compactors, water trucks, motor-graders, excavators, rock trucks, loaders, fuel/lube service trucks, mechanic service trucks, on highway transportation and miscellaneous support equipment. Some highlights have been: Komatsu D 475 Dozer (the second largest they make), Komatsu WA900 Loader, Komatsu PC800 excavators, Komatsu 785(100 ton) rock truck, Cat 777(100 ton) rock trucks, Cat 992 Loaders, Cat 14M blade and a recently purchased state-of-the-art Kenworth Fuel/Lube service truck.